Looking for a Yoga class that gives you more than a physical workout? Take David's class! A seeker and teacher of mind+body equanimity, David skillfully infuses Yogic teachings in an easily comprehensible way for us modern/urban yogis. Fascinated about the evolution of the human mind+body, David is passionate about guiding his students to uncover their own potentials. 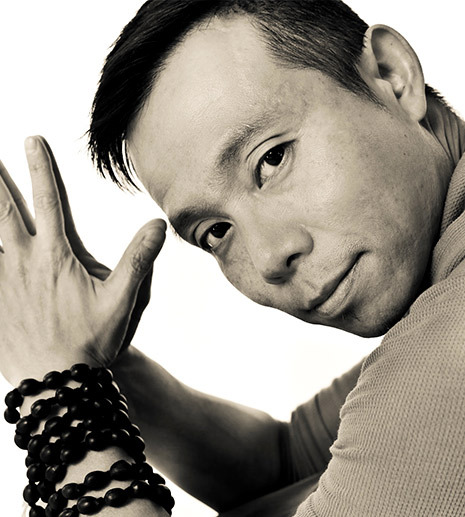 A former professional dancer (MFA) of 15 years, a certified Pilates Teacher, and an Experienced-Registered Yoga Teacher (E-RYT200); David creatively combines his expertise of all 3 disciplines in his yoga classes, where he mindfully links the Asanas (Physical Poses) with the powerful rhythm of the Breath, in a graceful choreographic manner that fosters core strength with suppleness, as well as focuses the mind and enlivens the spirit. Whether you are new to yoga, have a regular practice, nursing an injury, or just having a funky day; David welcomes you to join him in cultivating a way of life where a state of well-being is revealed and attained. David will be receiving his Advanced Yoga Teacher (RYT500) credential Spring/Summer of 2013. He looks forward to practicing with you soon!